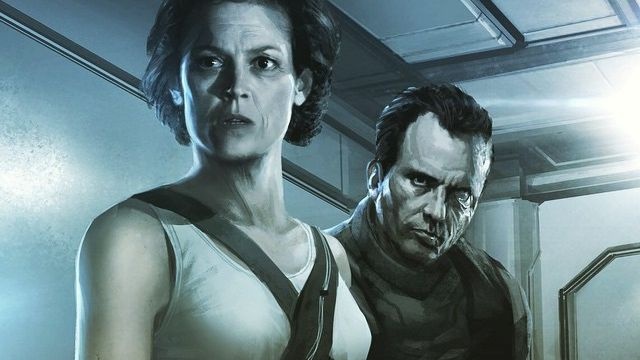 Although all anyone can talk about right now is Alien: Covenant, there are a few out there who are willing to question the status of Neill Blomkamp's Alien 5 project while Ridley Scott is busy promoting his Prometheus sequel. I think he will never see the light. There was never a scenario, just an idea that evolved into a pitch of ten pages, I had to participate as a producer but it did not go any further because the Fox decided that She did not want to do it. I had already done Prometheus and worked on Covenant. Although this does somewhat contradict what we had heard previously concerning Alien 5, it's not all that surprising. Blomkamp's Alien 5 was going to rehash a section of this franchise that Scott and Fox are seemingly trying to distance themselves from. With the expansion of the mythology, the focus is no longer on Ripley, Newt and Hicks, but more so on David, Androids, Engineers and the grand concept of creationism. Alien 5 would have been a fun film no doubt, but would primarily act as fan service rather than an expansion of the mythos. However these are Ridley Scott's views and depending on how Alien: Covenant performs, Fox may consider revisiting Blomkamp's vision, if anything for a spin-off, much like what Disney are doing with Star Wars. Fans shouldn't lose hope in the project just yet. Ridley seems to have an excellent relationship with 20th Century Fox, having done so many movies with them, and after the box office profits from The Martian, Fox trust Ridley with the Alien series. If Alien:Covenant is a big financial hit, then Ridley will be allowed to do what he wants with the next one. It would have been something interesting. I think this film would've been a cinematic milestone; a story-line that would've split a single franchise into two parallel universes. I don't think that's happened before! Don't get me wrong though, I cherish the ALIEN 3 theatrical edition! Awesome movie, just wish that the special effects were improved upon! Ridley (and Fox) is revising the canon, it's clear, and he is going to disregard any "Alien" movies that aren't his, namely "Aliens" in this particular case, so there is NO "Newt" or "Queen" or other events of said movie, and that is why Alien 5 will not happen. Love to read those 10 pages! Hopefully, Blomkamp moves on, stops spinning his wheels and writes his own 'Alien' or 'Star Wars'. I agree Alien 5 could be a neat avenue to explore for the franchise but it had to factor in so many variables. Alien 3 and Resurrection were going to be retconned and essentially written off. Although I would be okay with Resurrection meeting that fate I feel Alien 3 still holds some water. Ridley and Fox did create a rule book. How Blomkamp's story could fit into this is uncertain, but nothing is impossible. I think the focus on Blomkamp's version was drawing only from James Cameron's Aliens and disregarded a lot of what Ridley had created. I'm sure if Blomkamp had focused his concepts around Alien instead of Aliens, Ridley might have been more inclined to back the project. But I think Cameron took the series in a dramatically different direction and that's what Ridley is trying to dial back and refine. Newt and Corporal Hicks Die (and Bishop is destroyed) in the prologue to Alien 3. It shows the Face Hugger in the Cryo Bay of the Sullaco spraying acid on their pods. This leads to the emergency protocol to eject the pods into an escape module and they end up on Florina 161. Ripley has their bodies burned in the incinerator (and Bishop is thrown in the Rubbish) on the prison colony. How would Hicks and Newt be able to come back for a sequel, especially one where Newt is in her 20's???? I guess if you consider Aliens, directed by James Cameron, to be the final true "Alien Universe" Movie before Prometheus and disregard Alien 3 and Alien Resurrection. Sir Ridley Scott only Directed or had any artistic involvement with the Original Alien movie until he made Prometheus. He has turned down several offers to make a sequel to Alien both as producer and as director.